at 7.30 in The Corn Exchange, Biggar. Come prepared with umbrellas and parasols, wellies and sandals, fur coats and bikinis, as we play our way through songs inspired by our weather through the seasons. 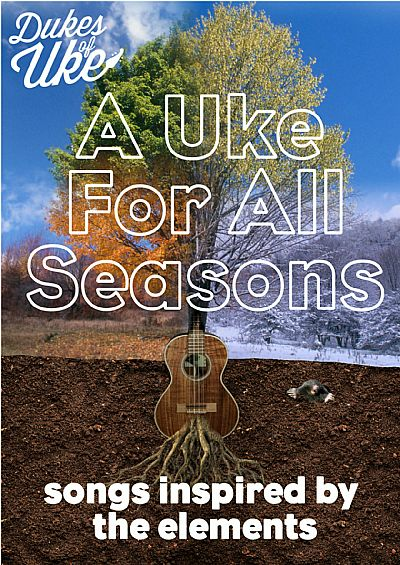 The Dukes’ forecast is for a musical “storm in a teacup”, with a 90% chance of ukuleles leading to sunshiny faces. Expect 2-3 centimetres of humour with songs blowing in from all directions. These shows are part of Biggar Little Festival 2019. More details about ticket availability to follow.